Because divorce is so common in the U.S., with around 40 to 50 percent of couples eventually ending their marriages, almost everyone knows someone who got divorced. And the stories they tell often involve plenty of factual and not-so-factual information that can make your head spin—especially if you’re going through a divorce yourself. 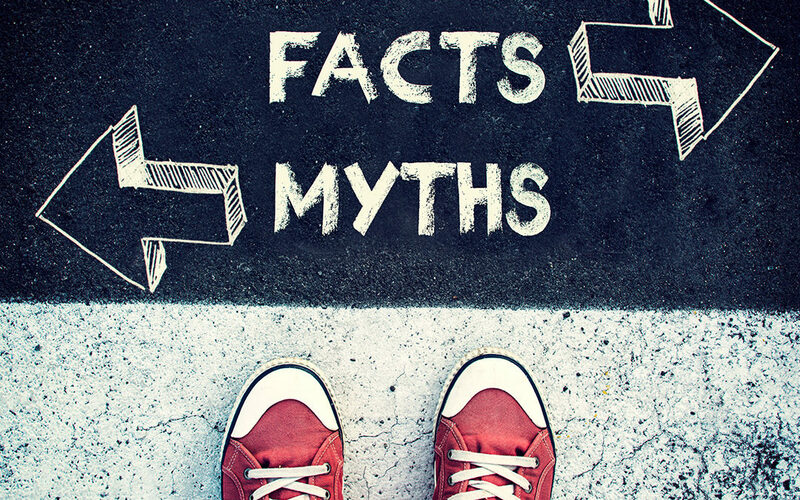 There are many myths and misconceptions about divorce that have been disproven time and time again, but they’re still widely believed by many people. That inaccurate information often leads to spouses making bad decisions when they’re filing for divorces or reacting to divorce papers. At the Law Office of André J. Ausseresses, , APC, it’s our goal to help men separate the facts from fiction as quickly as possible, so that they can avoid the painful and often costly mistakes that are so common in divorce. 1. Proving that the other spouse cheated gives you an upper hand – While cheating during marriage is one of the most common causes of divorces, it rarely plays a significant role in divorce proceedings—particularly when it comes to the division of assets. However, it can play a role in matters pertaining to children, especially if the affair may have harmed them in any way. 2. Not paying child support puts child visitation rights in jeopardy – Two of the most hotly contested aspects of divorce are child custody and child support. Some women use child support payments—or lack thereof—against their former spouses by threatening to cut off access to their children if the payments are late. However, judges view the issues separately, and lack of payment isn’t a valid reason to deny visitation or temporary custody rights. 3. Women always get custody of children – Studies show that a large percentage of mothers get custody of their children after divorces, but that doesn’t mean that men should give up or not try to get custody—especially if they feel that it’s best for their children to live with them. Divorce courts make their decisions based on the best interests of the children involved, and in many cases, they determine that children will be better off living with both their fathers and mothers. 4. Divorces are always messy, emotion-fueled processes – While some divorces can be long, exhausting, and drawn-out legal battles between two people with plenty of animosity towards each other, many are far more civil and to the point. By the time the legal system gets involved, both parties have often had a chance to internalize the situation and begin to prepare themselves for the future. 5. When men get divorced, they must always pay alimony to their ex-wives – Alimony is designed to support former spouses after divorces, especially when they quit their jobs or didn’t pursue careers in order to fulfill marriage-related tasks, including childcare. Alimony is complex however, and may not be ordered in every case. 6. Divorce can be rejected or refused – While not all divorces are amicable or agreed upon by both spouses, that doesn’t mean that the brokenhearted or reluctant party can refuse when the other spouse wants to permanently separate. California is a “no-fault” state which means spouses don’t have to prove the other person did anything wrong and that divorce can be granted even if the other spouse doesn’t agree to it. 7. Kids can choose which parent they want to live with – If parents cannot mutually agree on a custody schedule, the court decides which living arrangement will be best for a child after divorce. While statistically that’s more often the mother, there are many circumstances that can lead to courts siding with fathers when it comes to custody. In addition, children being minors means that they aren’t in a position to choose which parent they can live with. However, some family law judges take the opinions and preferences of older children into account when awarding custody. 8. All divorces end up in courtrooms with both spouses present – Although television shows and movies often portray divorces playing out in courtrooms with both spouses sitting with their lawyers in front of a judge, the majority of divorces settle out of court. Almost all family law attorneys seek to reach a settlement, as taking divorces into courtrooms only serves to prolong the process and harm relations between separating spouses and even their children. 9. Divorce wipes out men financially – There’s no getting around it—divorce can be and often is very expensive, especially for men who may be required to pay alimony and child support. However, it’s not always as financially devastating as others make it out to be, especially with a good lawyer on your side. Mediation can often solve financial-related conflicts before they’re decreed by the court, as it allows you an opportunity to come to more reasonable terms with your former spouse based on your incomes, lifestyles, and the needs of your children. 10. Most divorces take years to finalize –, Having an attorney whose goal is compromise and negotiation can help speed the process while also helping you to get the best possible outcome. Divorce is rarely an enjoyable part of anyone’s life, but with all parties moving towards a speedy resolution, you can put it behind you and move towards a new chapter in your life sooner rather than later. Questions about Divorce? Call the Law Office of André J. Ausseresses, APC. The previous myths are just scratching the surface of the questions and concerns we know many men have about divorce and the effects it will have on their finances, their relationships with their children, and their daily lives. Our law firm knows the ins and outs of California divorce and child custody laws, and we’re here to help any men in the Irvine areas who need legal representation for those issues. Contact us today to get in touch with our legal team and let us begin fighting for your rights.